HH Sheikh Majid Bin Mohammed Bin Rashid Al Maktoun with Carlo Lamprecht and Carine Maillard, president and director of the GPHG Foundation. 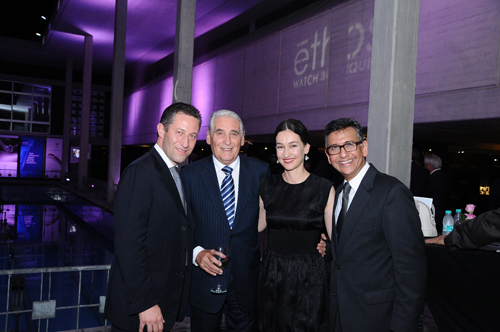 An annual travelling exhibition enables an international audience to discover the watches pre-selected by the jury as well as the competition’s prize-winning models. Watchmaking connoisseurs and enthusiasts, clients, journalists and collectors are thus invited to discover and admire the year’s finest watchmaking creations and to share moments of horological culture at the various cocktails, dinners and seminars organised in different cities. 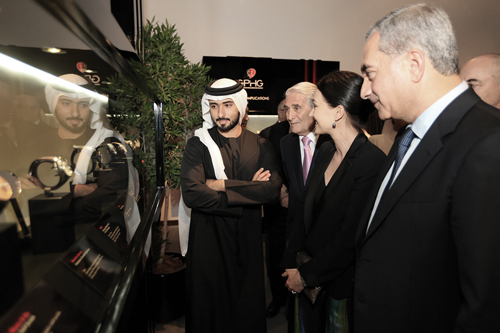 Last year, the roadshow notably delighted aficionados in Dubai at an exhibition organised in partnership with Ahmed Seddiqi & Sons in an art gallery at the Dubai International Financial Center. 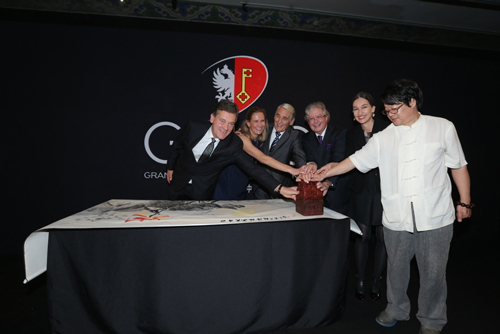 The 2013 exhibition also made stopovers in Bejing, Macao, Geneva and finally Singapore, where the winning watches were honoured at L’Atelier by the Hour Glass. The 2014 exhibition is once more stopping off at the House of Arts - Yishu 8 in Beijing from October 10th to 12th, organized under the aegis of Edipresse Asia; but prior to that, this year’s journey will begin in New Delhi. India, which is showing an increasingly passionate interest in watchmaking, is considered as strategic by a number of brands and harbours one of the world’s highest growth potentials. Organised in partnership with Ethos Watches, the Indian exhibition will first be installed at the Swiss Embassy, where around 150 privileged guests are invited to enjoy a dinner given in the Embassy gardens on September 26th. This exclusive event will be followed by a presentation to a broader audience and to the press at the Imperial Hotel in New Delhi. Serving for the past three years as the Geneva showcase for the official pre-selection, the Cité du Temps will again enable a Swiss and international public to admire the jury’s 72 chosen watches from October 23rd to November 2nd. Once the prize list of this 14th edition has been announced at the prize-giving ceremony on October 31st, the winning watches will fly across the Channel to take part in the much sought-after SalonQP in London, also in the presence of the Swiss Ambassador. It is worth noting that the Foundation of the GPHG has once again entrusted the scenography of the display windows for the two latter exhibitions to the preorder&soldout studio, composed of two young alumni of the HEAD (Geneva University of Art and Design; see the article on the HEAD’s contribution on page 12). 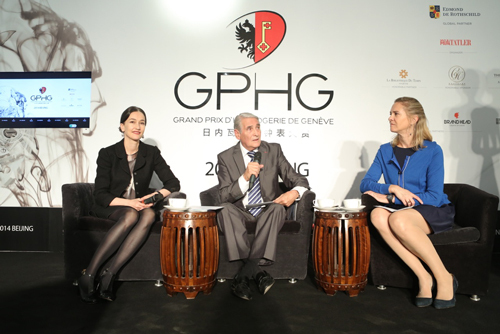 Carlo Lamprecht, Carine Maillard, Jacques de Watteville, Swiss Ambassador in China, Maria de Watteville, Valérie Boscat (Edmond de Rothschild Group). Barrie Goodridge (Edipresse Asia) Sarah Arnett (Edmond de Rothschild), Carlo Lamprecht (GPHG), Jean-Jacques de Dardel (Swiss Ambassador in China), Carine Maillard (GPHG).